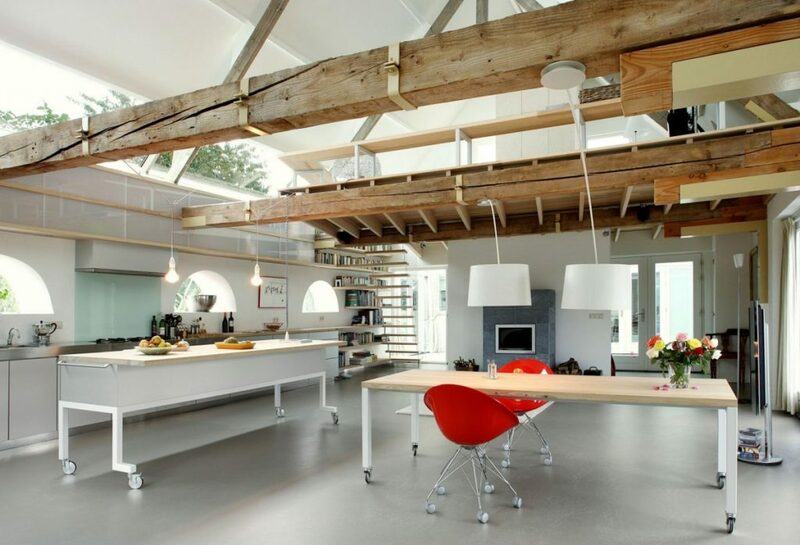 A loft, by definition, is a room directly beneath the roof of a building. 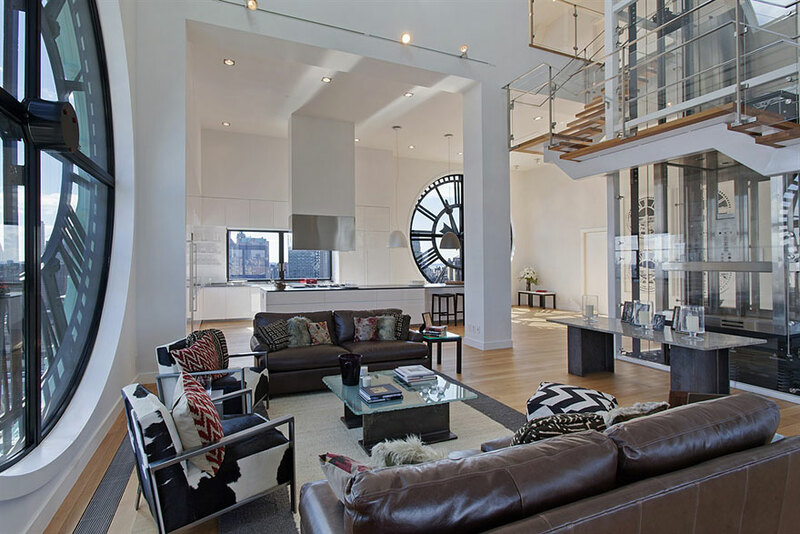 These large, open spaces with impossibly tall ceilings are often converted for residential living from light industrial. 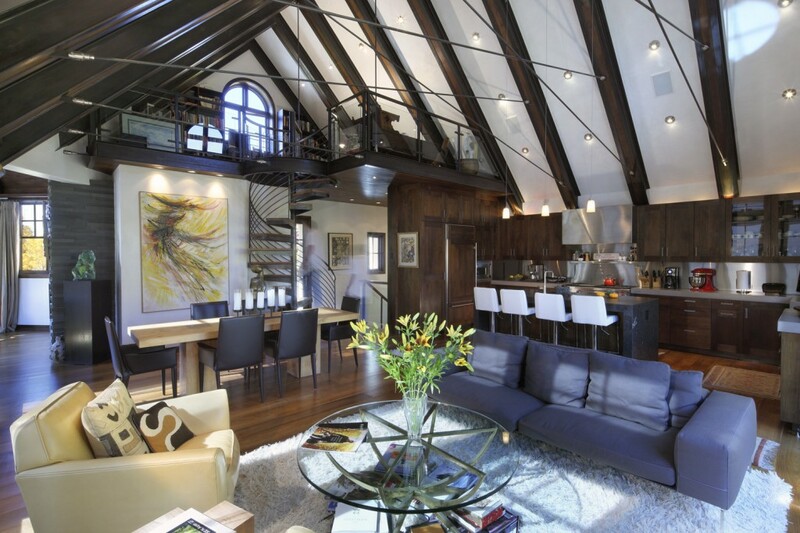 Barns and churches make great lofts. 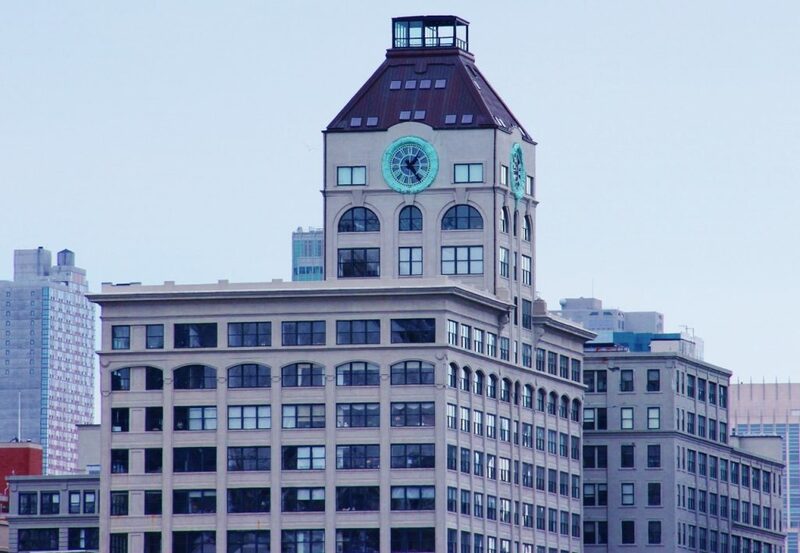 So do old warehouses and clock towers, as you will learn from the 19 examples below. 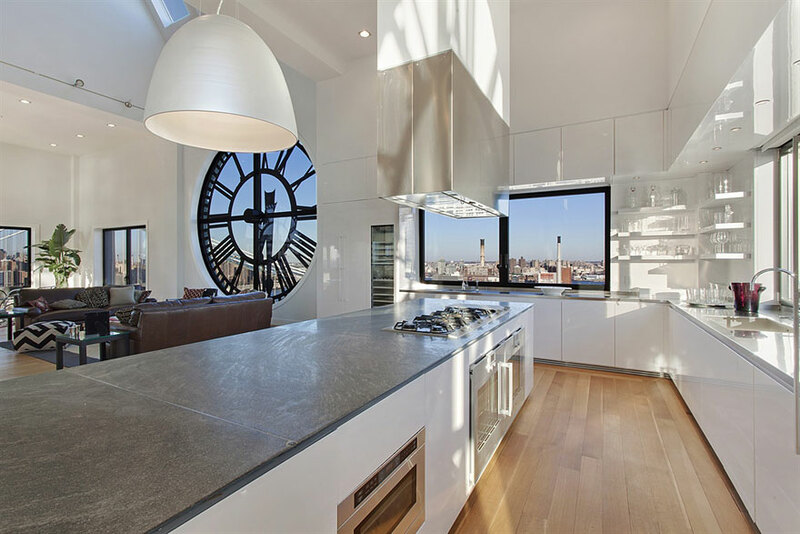 From our roundup of the top converted room projects, this striking penthouse in Brooklyn, New York takes up the top three floors of a former cardboard box factory and clock tower, built in 1915. 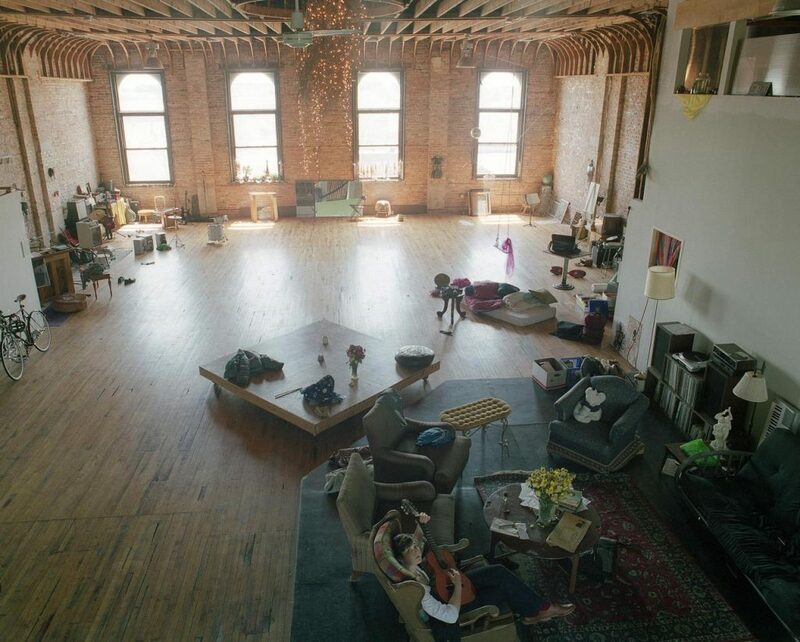 For those interested, the loft is on the market for $18 million. 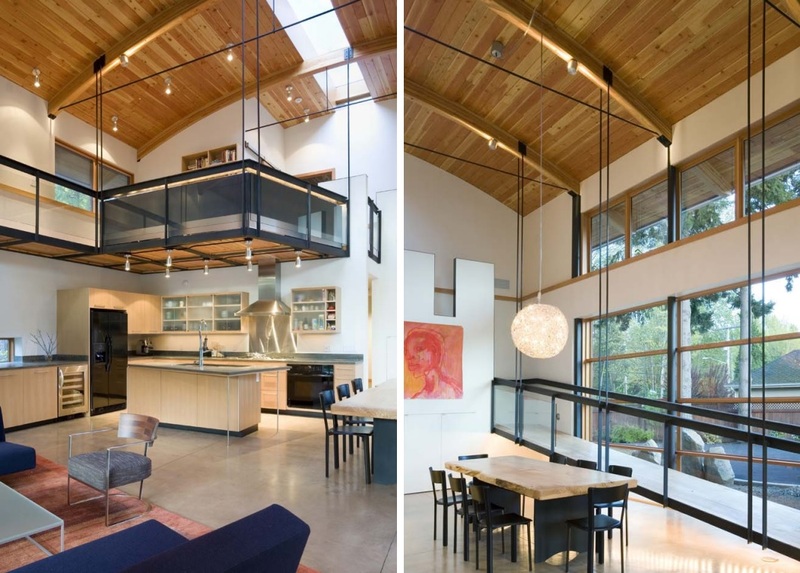 As you can probably discern from the image above, the biggest downside to living in a home with such high ceilings are the equally high heating costs. 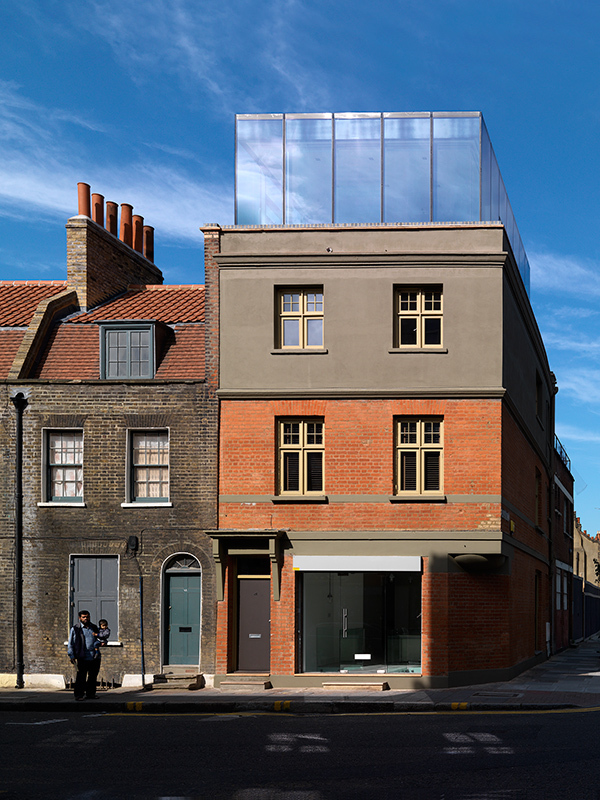 This mixed-use development in London boasts two residential units, one of which is a penthouse suite with a loft-style rooftop solarium. 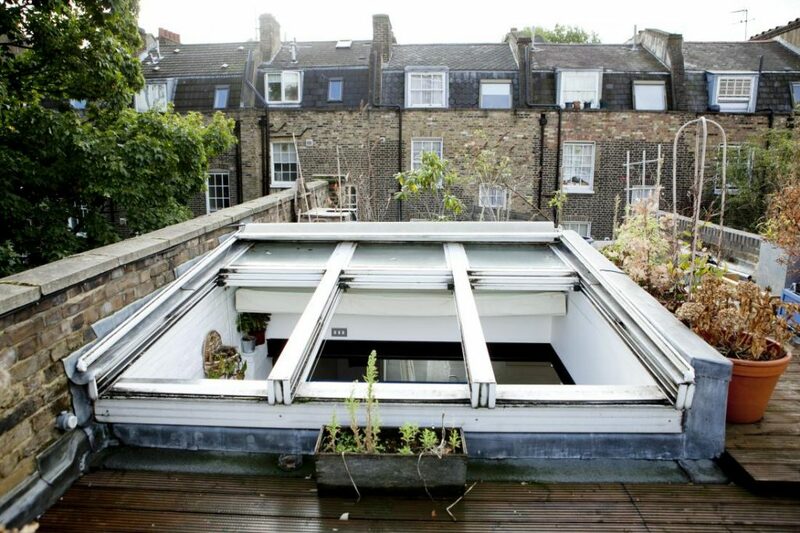 What’s the point of living under a building’s roof if you don’t have massive skylights? 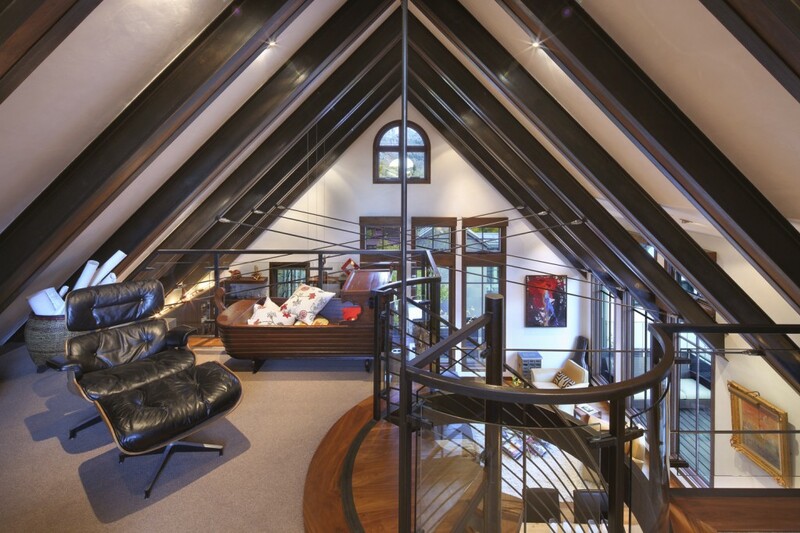 This home, by TruLinea Architects, can be found in Telluride, Colorado. The spiraling staircase is a nice touch. Does the Cream song “White Room” immediately pop into your head too? 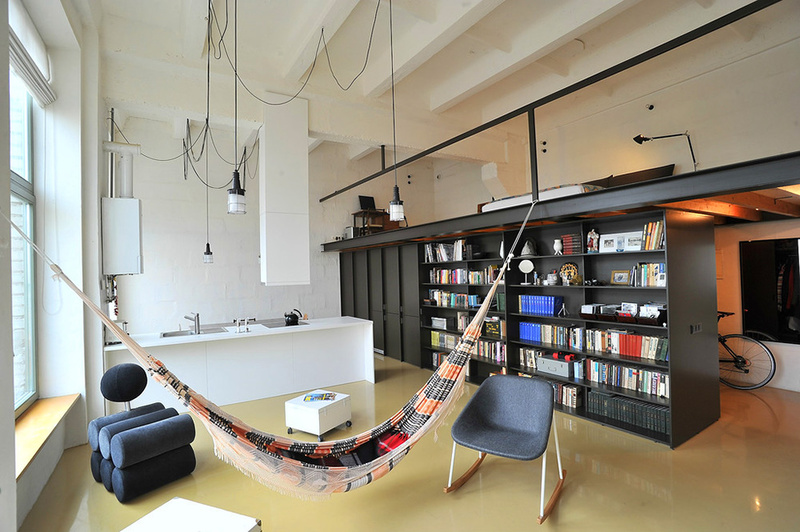 Exposed beams and concrete — the classic loft aesthetic. 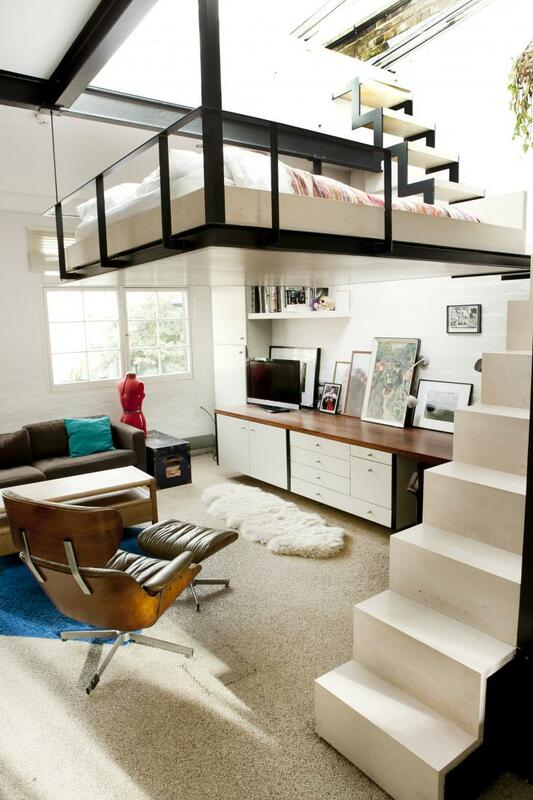 Lifted from our top suspended rooms series, this floating bed-loft is attached to a skylight by a set of stairs which lead directly to a rooftop garden. Genius. 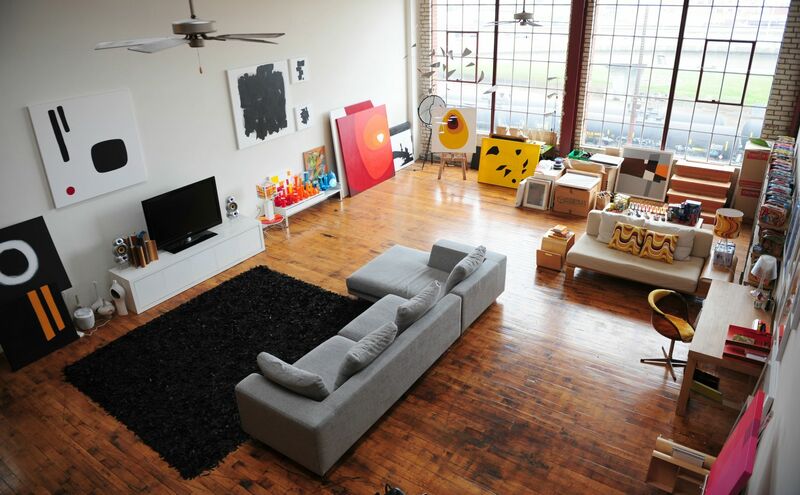 Here you go: The obligatory artist’s loft. 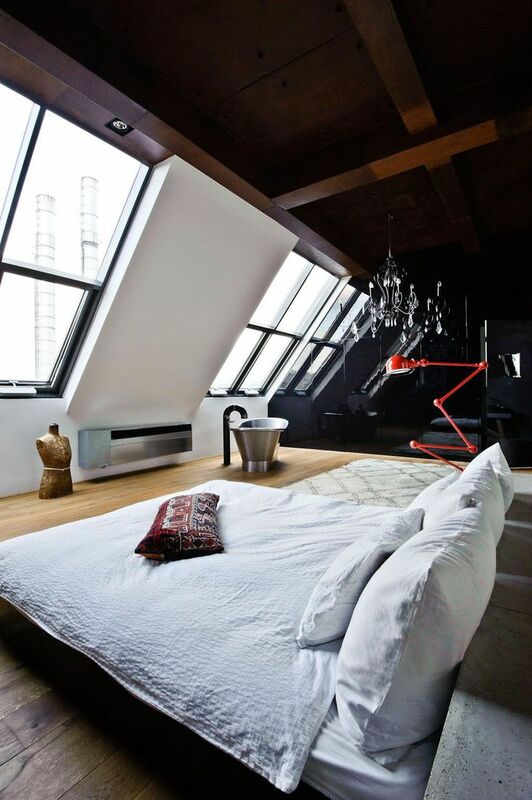 Like we said at the top, barns are ripe for loft conversions. Maxwan Architects picked a winner with this Netherlands project. 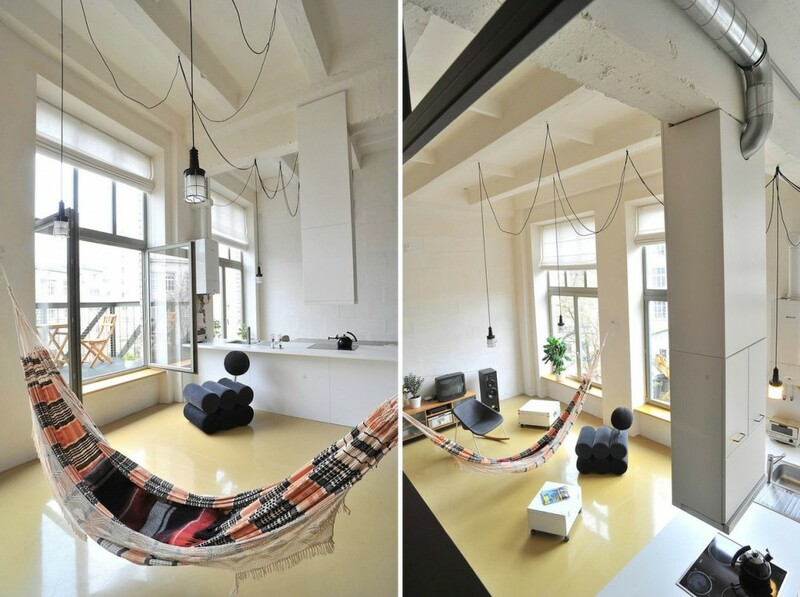 Want to call this warehouse-loft home? 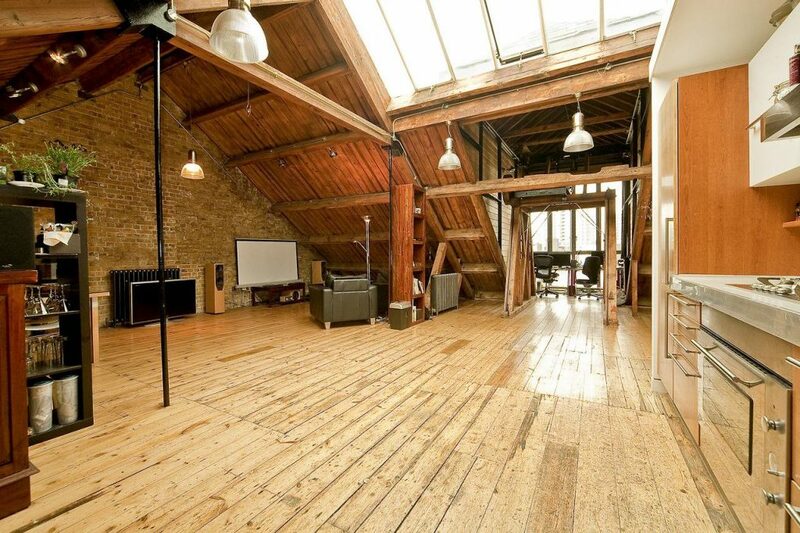 Located in London, it rents for about $740 USD per week, according to former tenant and Reddit user meeb. 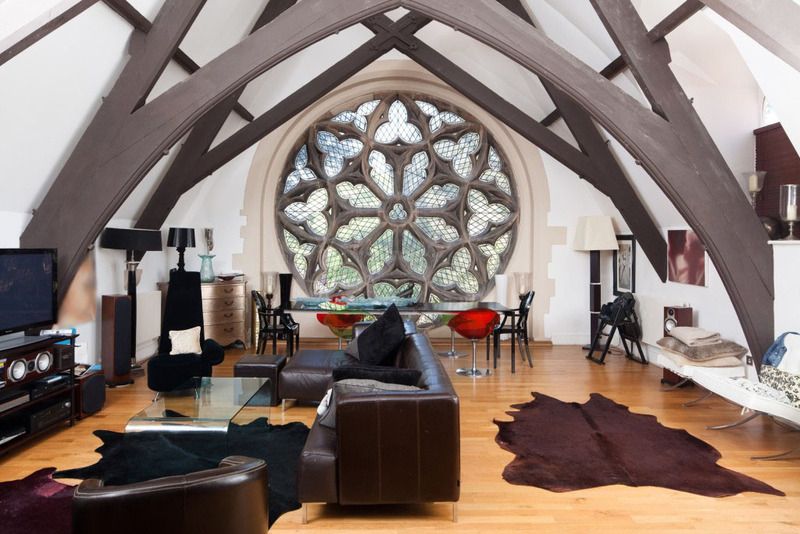 Another common loft theme: Church-to-residential conversions. 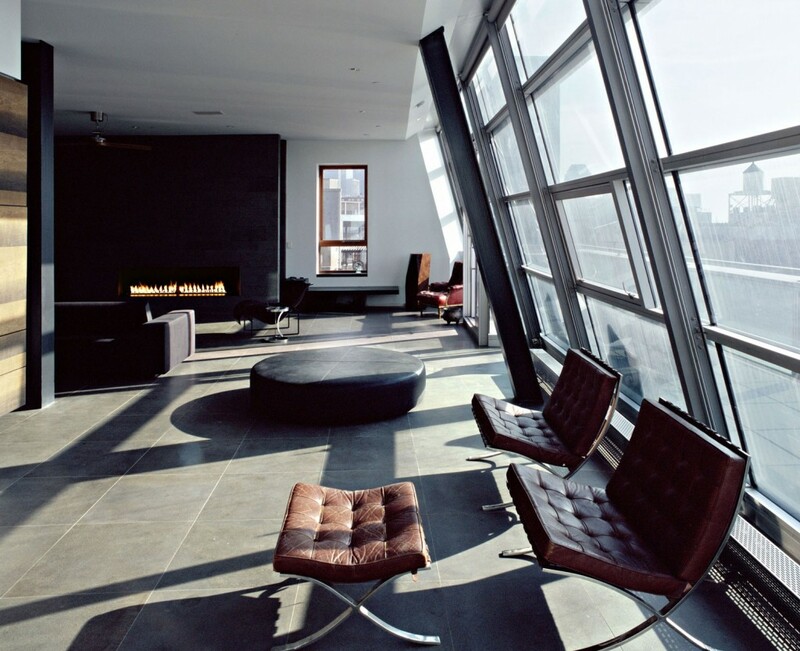 For projects similar to the above, click here. 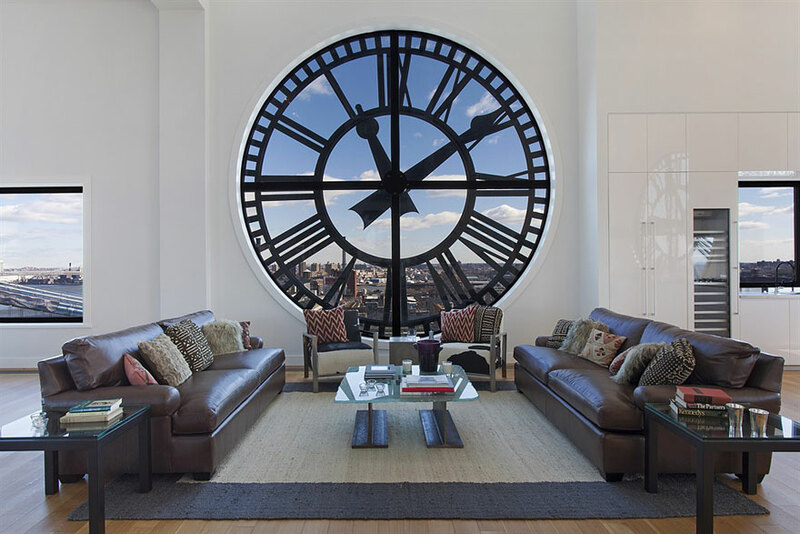 Part of Archi-Tectonics’ Shein Loft project in Soho, New York, this particular apartment is located on the 8th floor of the former warehouse. 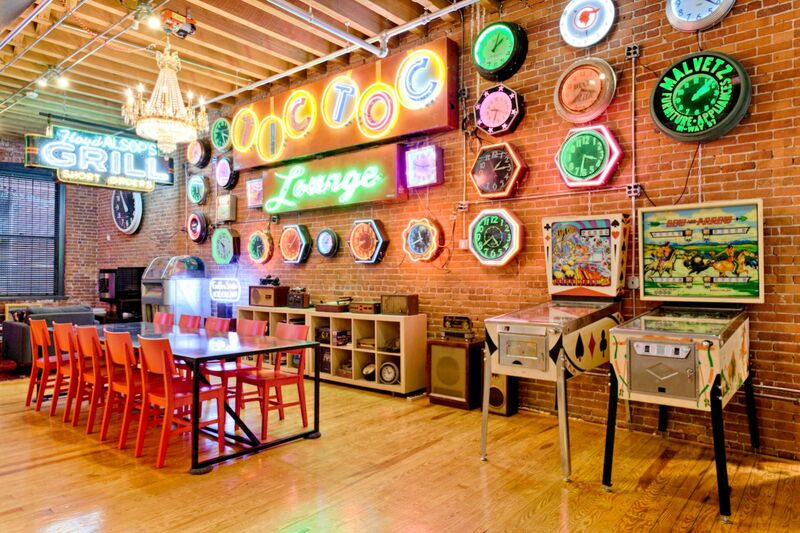 Bonus points for the pinball machines and 1970s dive bar motif. 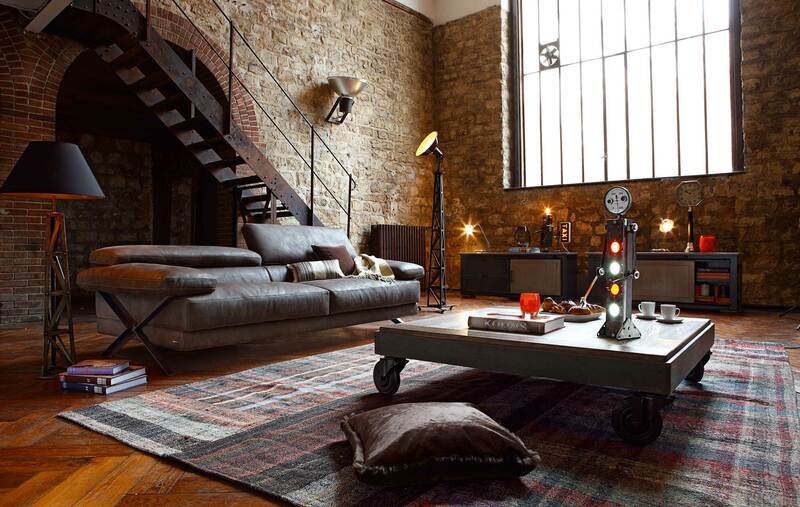 Exposed brick and a steel stairway — another conventional, but infinitely charming loft theme. 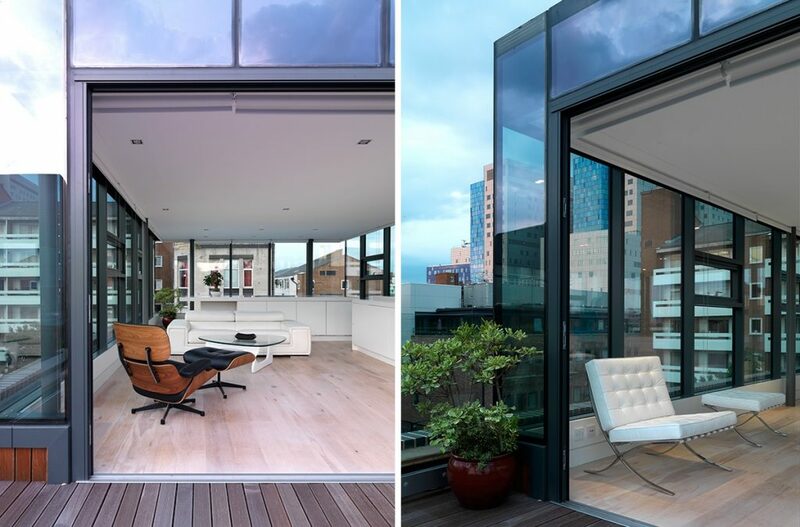 According to the architects, the home’s design is intended to blur the boundaries between indoor and outdoor spaces. 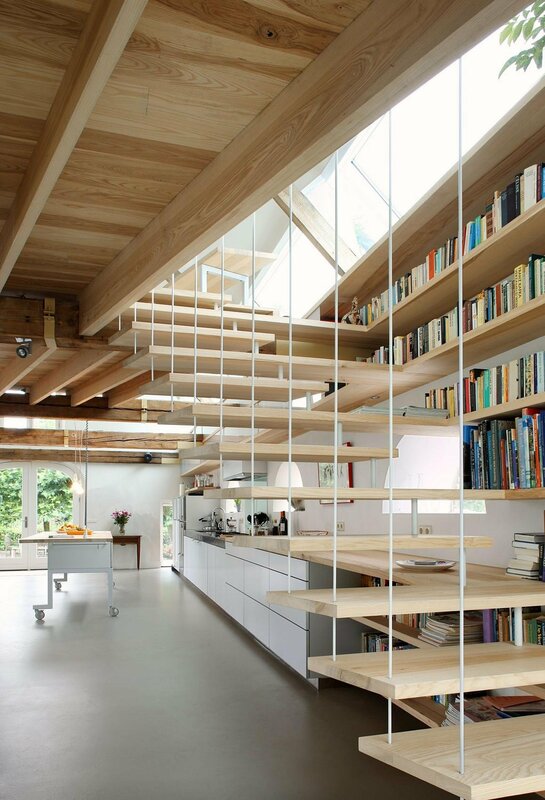 The overhanging catwalk blurs the boundaries between the upstairs office and downstairs kitchen. 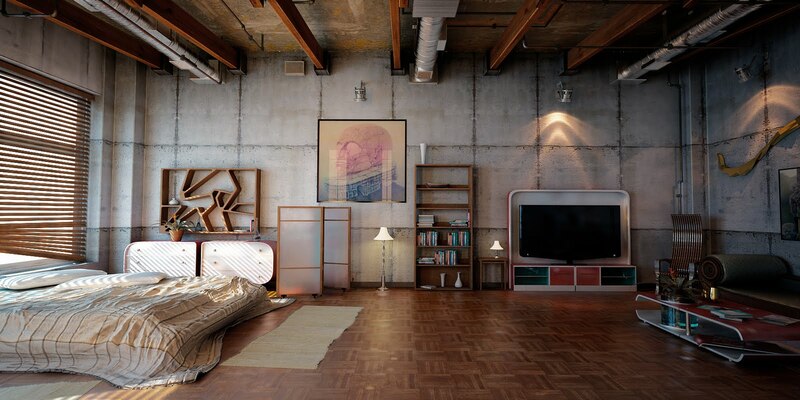 This Lithuanian loft was once a radio engineering factory in Vilnius. 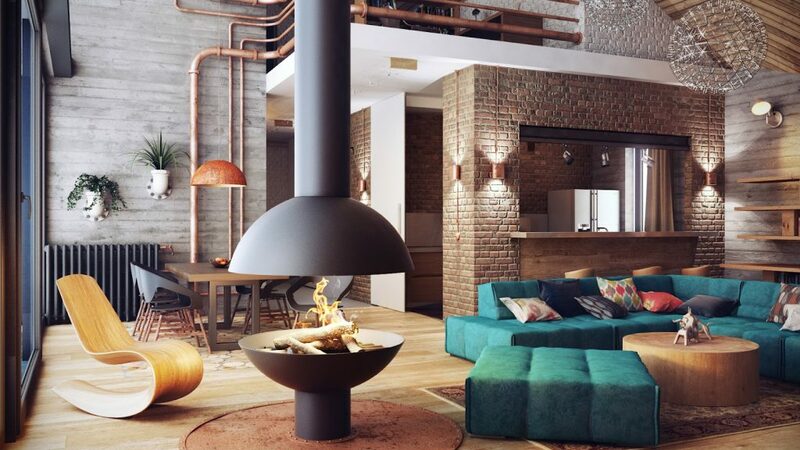 Every loft should have a modernist’s campfire as its center piece. 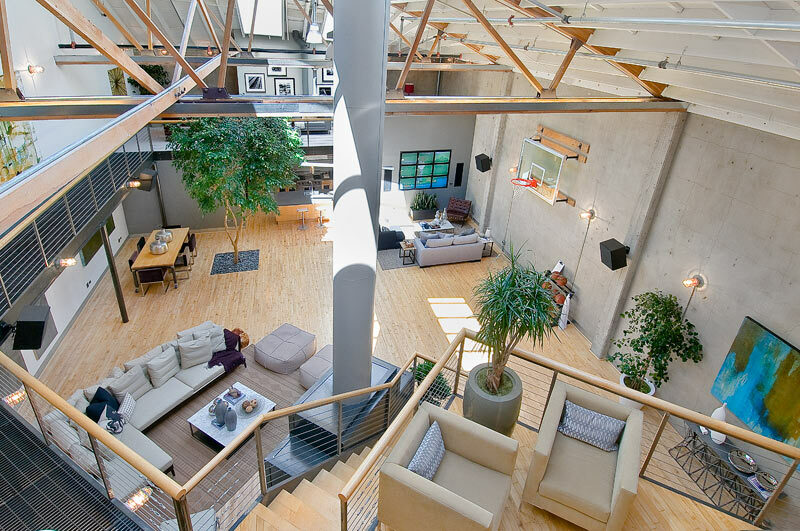 See, now this San Francisco resident knows how to make full use of a loft’s vaulted ceiling: Turn the living room into a basketball court.